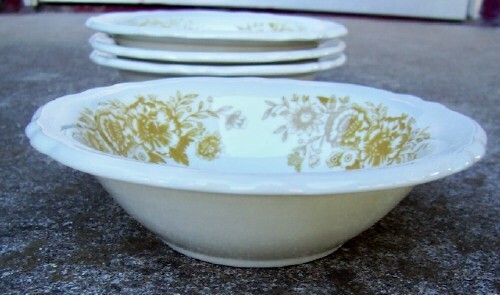 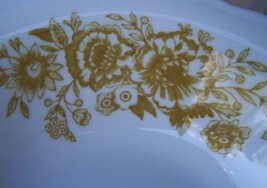 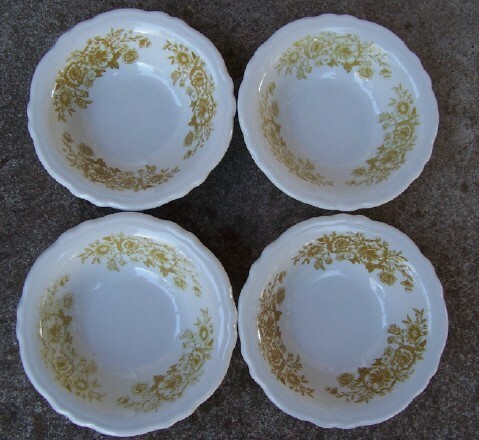 This Listing is for these four 6 1/4" vintage Homer Lauglin Restaurant Bowls in a sage green floral Pattern. Each are Marked on the back /see photo They are all in very good condition and are still shinny. 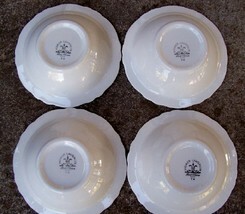 If you are looking for quality restaurant ware I think you will be very pleased with these bowls! Thanks for shopping with us!